Brick Loot Coupon Code Save $15 – Two Days Only! 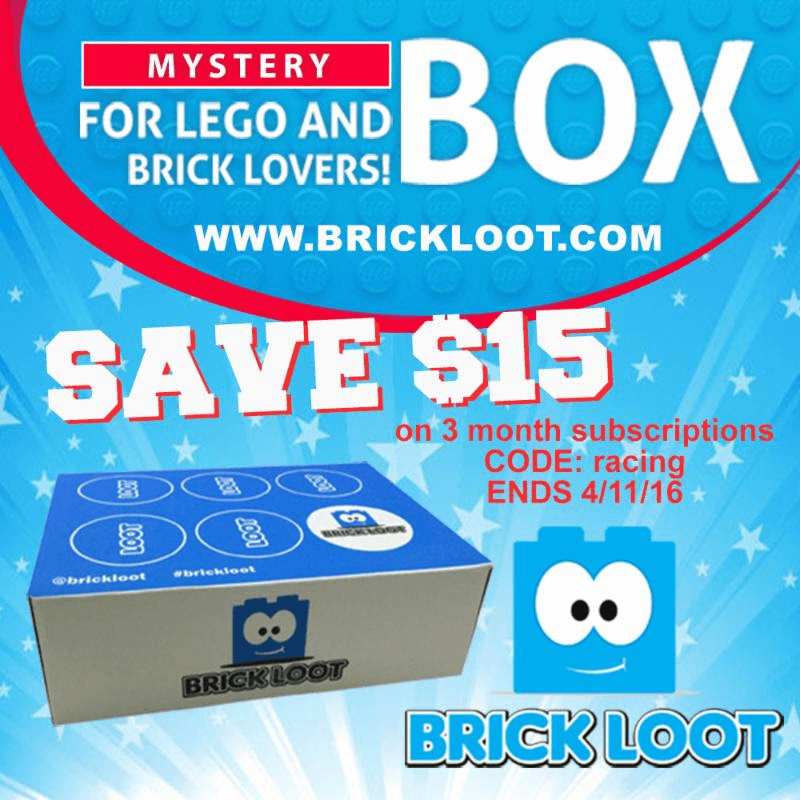 For just 2 days save $15 on 3-month Brick Loot Subscriptions! The regular monthly price for this subscription is $27 per month + $6 shipping, but with the coupon code racing and a 3 month subscription your total cost is $78 – $26 for each box!